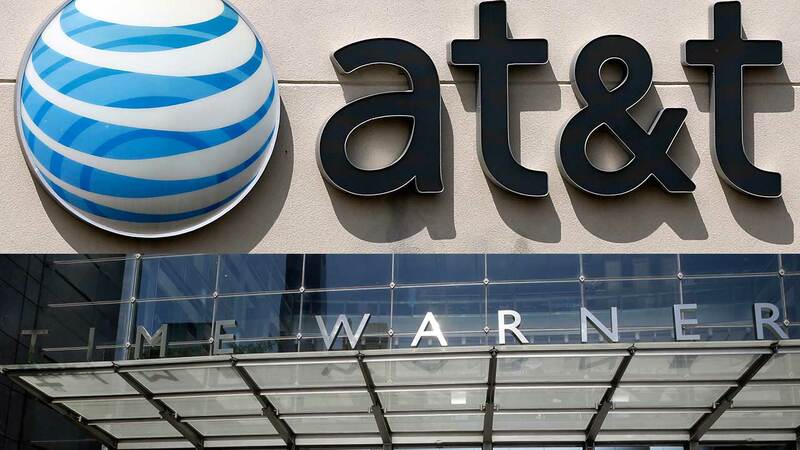 NEW YORK -- AT&T and Time Warner have agreed to an $85 billion deal -- one of the biggest media tie-ups ever. AT&T, which dates back to the invention of the telephone in 1876, is one of the country's largest providers of wireless phone and Internet service. It also recently acquired the DirecTV satellite TV business. Time Warner includes everything from "Game of Thrones," on HBO, to "Anderson Cooper 360," on CNN, to "The Big Bang Theory," produced by Warner Bros., to March Madness basketball games, aired by several Turner cable channels. The deal will also keep Time Warner out of the hands of AT&T's huge rivals, including Verizon, Comcast, and Apple. In some ways, the deal resembles Comcast's 2011 acquisition of NBCUniversal. Comcast, a dominant cable distributor, wanted to own cable channels and a movie studio. That deal was approved, with restrictions, by regulators. Hillary Clinton's campaign has not commented. AT&T-Time Warner is not be a "horizontal merger," meaning two companies with similar businesses coming together and combining operations. Instead, it is a "vertical merger," placing two different kinds of businesses under the same roof. A Time Warner acquisition by AT&T may start a new wave of consolidation and cause 21st Century Foxand Disney to consider big deals of their own. Shares of three other smaller cable programming companies -- AMC, Discovery Communications and Scripps Networks -- all surged on Friday.